Murdex is an innovative RTA tank which features 2-post dual terminal build deck, single and dual coils control ring and adjustable bottom airflow. Ti version. Murdex Ti Coil Control RTA is a coil control tank which supports three different coil systems - single coil-A, dual coils-AB and single coil-B. Users can adjust the coil system by revolving the coil control ring. Together with e-liquid reflux resistant system (ERRS) drip tip, extendable 5ml juice capacity and bottom adjustable airflow, Murdex RTA provides a remarkable vaping experience to you. Ti version. Mit diesem Set ist ein Dampfer gut ausgerüstet. Das ist meine erste e-zigarette und ich bin begeistert. Für Anfänger ist Murdex sehr gut! 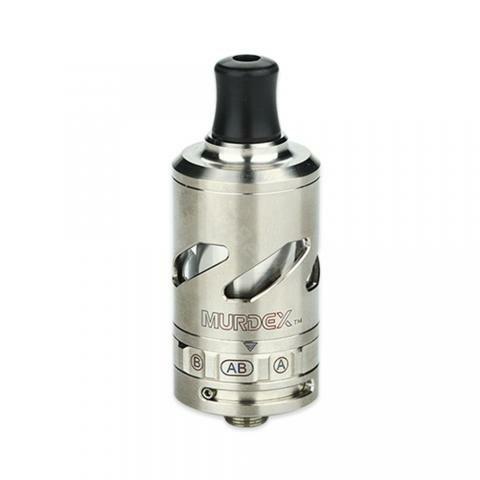 Murdex Titanium Coil Control RTA is the best starter kit at this price. That is suitable for someone transitioning off cigs and doesn't want to worry about separate components to assemble.